I got awesome results. The difference is like night and day. I never believed that hair transplants could be this amazing. Thank you again Dr. Neiman and all of your staff. Joseph B. Neiman, M.D., F.A.A.D. Joseph B. Neiman, M.D. 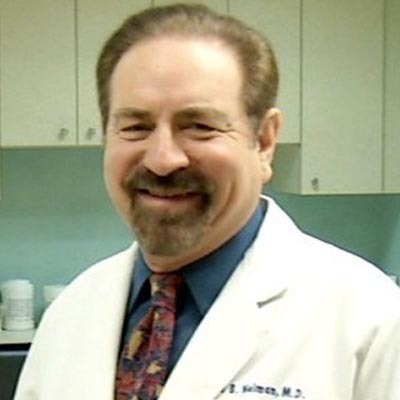 is a board certified dermatologist who started his dermatology practice in 1980. After receiving his B.A. degree from New York University, Dr. Neiman obtained his M.D. degree from the University of Tennessee Medical School. Dr. Neiman served his medical internship at Brown University and completed his residency in the Department of Dermatology of the State University of New York at Buffalo where he was Chief Resident. Specializing in Hair Transplantation, Dr. Neiman and his skilled staff offer a permanent solution for men and women suffering from hair loss. This procedure safely and effectively allows patients to use their own natural growing hair to restore their appearance and self-confidence. With over 36 years of experience and the most advanced techniques available. Dr. Neiman achieves superior and natural-looking results. If beautiful hair is what you're dreamin', pick up the phone and call Dr. Neiman!